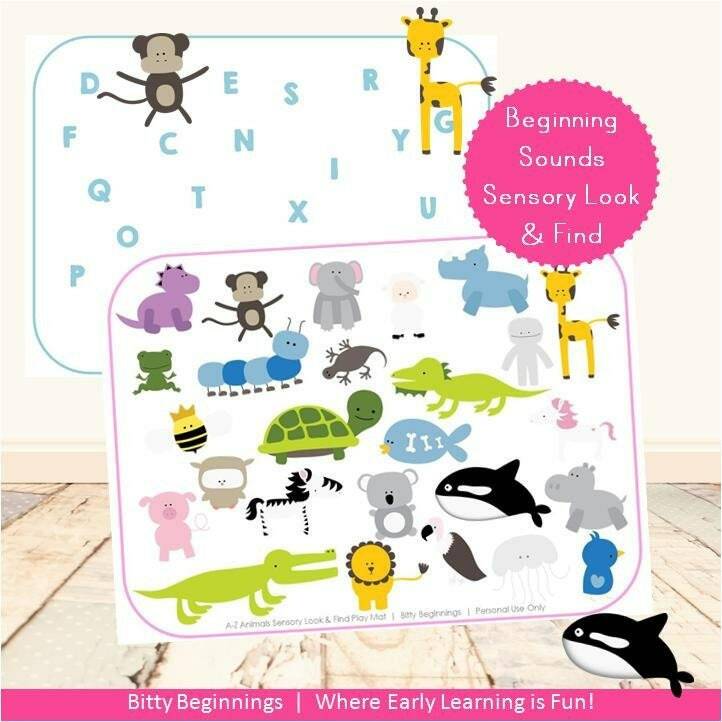 The A-Z Beginning Sounds Sensory Look & Find Set is a fun extension to the Alphabet Letter Learning Pack series! These activities offer little ones a fun way to explore beginning sounds using the cute images used throughout the A-Z series! Not only do these add an extra challenge but they also allow little ones to explore them in a new and fun way! If you have a little one who is beginning to recognize letters and their sounds or are a teacher with a class full of little ones eager to learn, these sensory activities will help make learning fun for the little one(s) in your life! This set includes 2 Sensory Look & Find Play Mat options - photo matching and beginning sound matching. These are also available in both pink and blue color options. Cut around each play piece. Invite little ones to find each play piece and match to the coordinating sensory look & find play mat.